Hi! Thanks for stopping by Sublimely Fit! I’m Beth, a yoga teacher, running coach, copy writer, and mom. I started this blog as Running with the Sunrise in July 2012 as an outlet so my friends wouldn’t have to hear me go on and on about what happened on my long run or about my new running shorts. 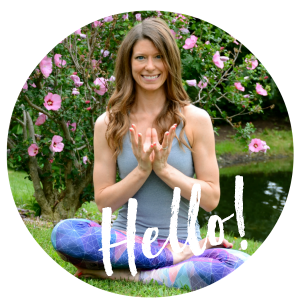 Since then, I became a yoga teacher, and expanded to blog about many different fitness and healthy living topics. So, I rebranded to Sublimely Fit in September of 2015 to reflect that new, more holistic focus. Currently, my main purpose for Sublimely Fit is to help my readers meet their healthy living goals, whatever those goals may be. I used to think that I could never be a runner. Running the mile in PE class in grade school and high school was awful for me. In the summer of 2003, a friend told me that I could be a runner and encouraged me to start running. That summer, with her help, I slowly worked up to running two miles without stopping, then on to 5Ks and gradually up to longer distances. I running gave me the outlet I needed to get through graduate school and other stressful situations in my life. My love of running and getting others to run is why I became a certified running coach through RRCA in September 2014. 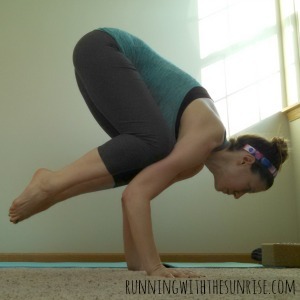 While I was training for my second half marathon in the summer of 2011, I decided to start practicing yoga to help me with strength and flexibility. Yoga helped me avoid getting injured as I increased my weekly mileage and worked on getting faster. The more I practiced, the more I loved yoga. 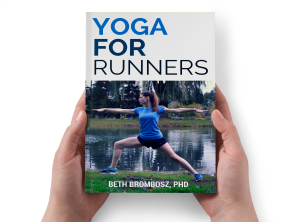 I found that I was really passionate about getting runners to practice yoga, which is why I decided to do my yoga teacher training. I finished my 200 hour certification in March of 2014 and have been teaching since November of 2013. I currently live in Oklahoma’s Green Country (the Eastern part of the state) with my husband Scott, our baby girl (born in November of 2016) and our two dogs, Maggie and Chloe. Even though I have an MS and PhD in biology, I chose to leave science and academia so I could focus on helping people live their healthiest lives ever. Presently, my focus is finding balance and happiness in my life and trying to do a little good in the world at the same time. Join me on my journey!